Impurity is the result of sexual immorality. Purity was essential to Jewish ritual law, and to debase oneself sexually would result in defilement, and therefore exclusion from worship. But the problem is even worse for the Christian. Impurity, or uncleanness, is not a matter of cult and ritual, but a matter of character and the heart. In the aforementioned verse from Matthew 15, Jesus declares that it is what comes out of our hearts that defiles us. Unclean hearts must be washed in the waters of baptism. The Christian must be vigilant to guard against impure thoughts and desires. Lust and evil desires go hand in hand. They form a vicious cycle of sin. “A passion is uncontrolled and habitual lust. When lust goes unchecked, a passion for what is forbidden arises. Habits are formed which feed each other. Lust encourages passion, and passion produces more perverted lust.”[i] The only way out is to execute lust and the evil desires which feed it. In fact, lust is best killed through starvation – the cutting off of evil desires. Desire itself is not evil, and especially sexual desire. But it must be directed toward the end for which God has created it. The fifth sin in the first list is greed, which Paul calls idolatry. Greed is the desire to acquire more than what is fitting. It assumes that we can rightfully claim all things, that somehow everything belongs to me. This is the idolatry of the self, the sin of autonomy. “To act as if everything exists for us is to place ourselves in the place of God himself. All things were created by him and for him (Col. 1:16), not for any of us.”[ii] Greed is the sin of Eve, who desired to possess knowledge that was too wonderful for her and to occupy a place that was too great for her. Greed must, especially, be executed. God cares deeply about what we do with our bodies and what we desire in our hearts. Because of these sins, God’s wrath is coming in final judgment. God cares deeply about what we do with our bodies and what we desire in our hearts. He wants us to do, love, and think what is right. God’s wrath is rightly poured out upon all that is evil. “’The wrath of God’…is not a malicious or capricious anger, but the necessary reaction of true holiness, justice, and goodness to wickedness, exploitation and evil of every kind.”[iii] Sin creates the necessary conditions for divine wrath and subsequent condemnation. Where there is no sin there is no wrath. Every person is guilty of committing such sin so as to invite God’s wrath. This is the harsh, and sad, truth which Paul calls to the Colossians’ minds when he reminds them that these were the very things they used to do. But all of these belong to the old way of life, having no place whatsoever in the new life found only in Christ. Paul now turns to a second list of five sins which deals with anger and evil speech. At the head of the list is anger, which in this context does not refer to righteous indignation or the wrath of God, but to the condition of living with an angry heart. This anger is destructive, especially of relationships. It simmers below the surface, rising to the top in hurtful outbursts of verbal or physical abuse. The Christian cannot be characterized as an angry person. Rage is unhinged anger. It is an intense, uncontrollable outburst of anger. Crimes of passion are committed in fits of rage, but that does not make the perpetrator any less guilty. The Christian is responsible to rid himself of rage and every characteristic that contributes to its destructive flames. Malice is ill will directed toward another. It is the desire to do harm to another person, to wish upon them failure, catastrophe, or death. Malice festers where forgiveness and grace are not applied. A believer should never experience malice toward anyone, especially toward another believer. Each of these sins – anger, rage, and malice – are relationally destructive. They are the antithesis of what is supposed to characterize the Christian community. There can be no real community without trust and honesty. The final vice, set off on its own, is deception. Paul says simply, “Do not lie to each other.” There can be no real community without trust and honesty. Deception is the devil’s native tongue, but the Lord himself is the truth. To speak the truth to one another, and to do so in love and with tact, is vital to creating a thriving church. All of these things are the practices of the old self, which the Colossians have taken off like a dirty shirt. The old clothes cannot cover you in God’s new creation. We must put on the new clothes of the kingdom. The old self, dressed in the clothes of the sinful nature, is false. The new self, adorned in the clothes of Christ, is the true self. “It is one’s true self, one’s full humanity, that emerges once the shackles of the old humanity are thrown off.”[iv] This new self is continually being renewed in the image of its Creator. In other words, God is constantly at work in the believer’s life, fashioning him in the likeness of Jesus. God is making you new every day, and every day he is making you like Christ. After all, it is here, in the church, that the divisions of the old self are cast off. In the church there is no ethnic division, no religious division, no cultural division, and no economic division. No, all belong to Christ, and Christ is in all. Everyone who calls on the name of Jesus, regardless of background, belongs to Jesus, is indwelt by the Holy Spirit, and is being remade into the image of Jesus. Grace is the great equalizer. The old clothes cannot cover you in God’s new creation. Everything has changed because of what Jesus has done. The old self has been executed. The new self has been resurrected. One commentator goes so far as to put it this way: “The old self and new self are never described as coexisting in anyone. One replaces the other. Finally, the old self is never a proper description of a believer. A believer is a totally new person.”[v] You are not who you were. You are who you are becoming in Christ. Sure, the process is messy and imperfect because the earth is not where God’s will is done completely, without resistance. You still sin because of that, but that sin is not you. As Paul said in Romans 7:17, “It is no longer I myself who do [evil], but it is sin living in me.” The sin that lives within you can be put to death because you have died to sin. Therefore, it no longer belongs in your body, your heart, or your mind. As N.T. Wright calls it, sin is an “alien intruder” who has no right to be in your home. Therefore, you have the responsibility to tell it exactly where it can go. Putting sin to death is not about managing your behavior or trying hard to be good enough for God. It is about dying and rising again. It is about your participation in Christ’s death and resurrection. Sin must be executed because you no longer live under its grip, but it will always seek to enslave you again. Although you are free from the penalty of sin because of Christ’s atoning sacrifice, you remain a hunted person. You cannot afford to take it easy with sin. You must be merciless. You must be brutal. The old must die because you are new. [i] Melick, R. R. (1991). Philippians, Colossians, Philemon (Vol. 32, p. 290). Nashville: Broadman & Holman Publishers. [ii] Anders, M. (1999). Galatians-Colossians (Vol. 8, p. 329). Nashville, TN: Broadman & Holman Publishers. [iii] Wright, N.T. (1986). Tyndale New Testament Commentaries: Colossians and Philemon (p.140). Downers Grove, IL: IVP Academic. [v] Melick, R. R. (1991). 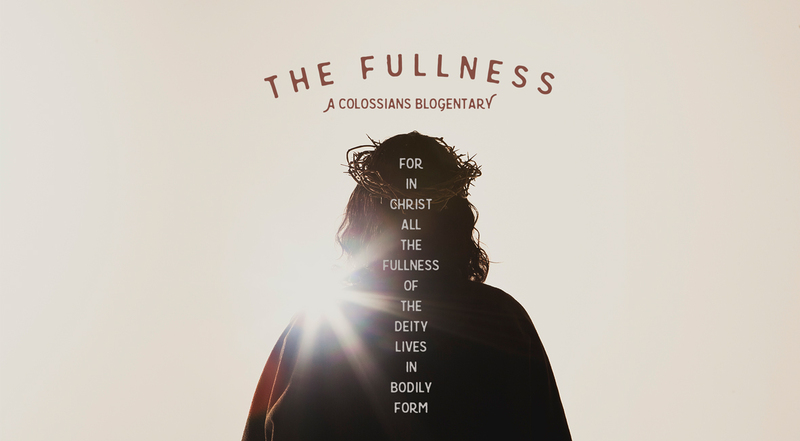 Philippians, Colossians, Philemon (Vol. 32, p. 295). Nashville: Broadman & Holman Publishers.